Sulfur (S). 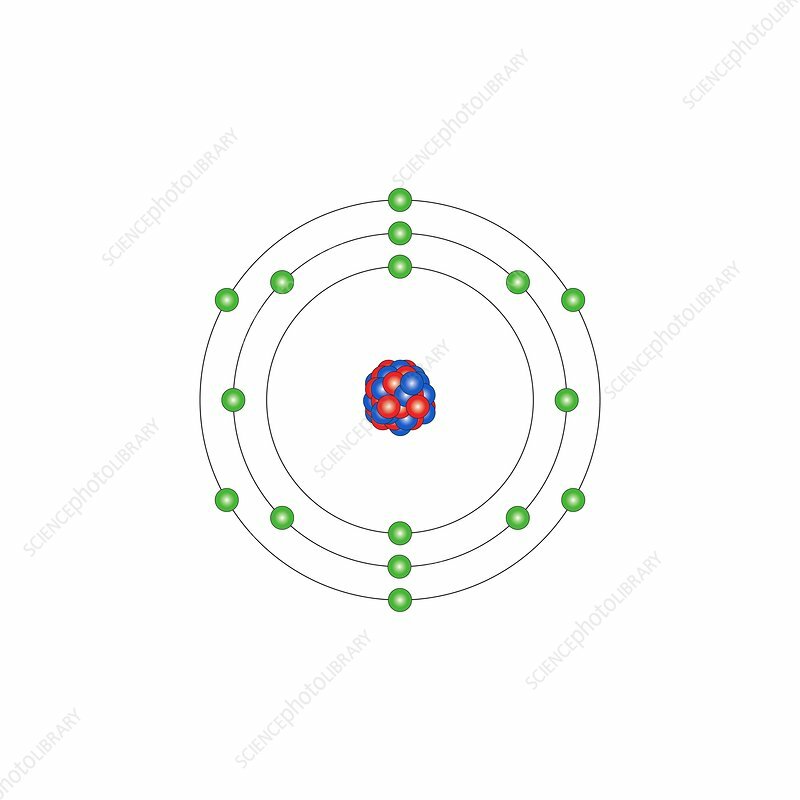 Diagram of the nuclear composition and electron configuration of an atom of sulfur-32 (atomic number: 16), the most common isotope of this element. The nucleus consists of 16 protons (red) and 16 neutrons (blue). The stability of an element's outer electrons determines its chemical and physical properties. Sulfur, a solid non-metal, is in group 16, period 3, and the p-block of the periodic table. Its compounds are vital for life. In elemental form there are numerous allotropes, the most common of which is octasulfur.